LinkedIN Will Now Let You Block Other Users. Finally. 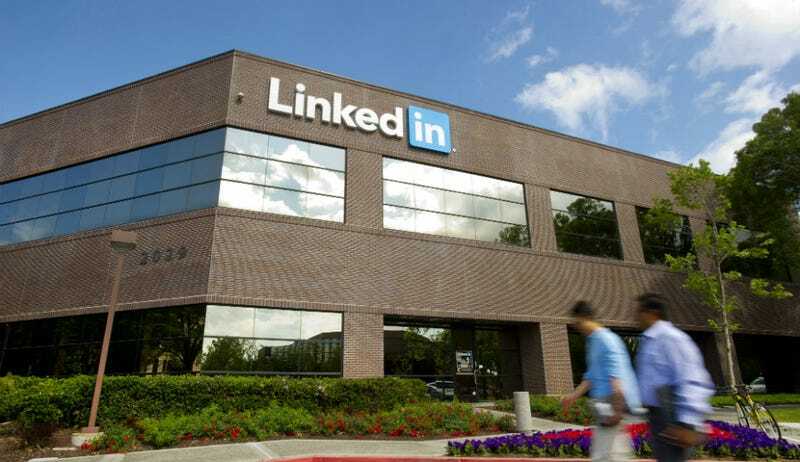 Business networking site LinkedIn has finally enabled a feature that allows its members to block other users. Announced on the LinkedIn Help Center earlier this week, the social network for business users rolled out a new feature that's been sought after by the community for quite some time. Bringing LinkedIn in line with social networks like Facebook and Twitter, users can now block specific member profiles on the site. To access the new feature, users simply visit the profile of the person they want to block and click the down arrow to the right of 'Send InMail' button and select the 'Block or report' option. According to the detail page, users can block up to 50 profiles, ideal for ditching stalkers, exes or even annoying recruiters. A public conversation about the lack of a permanent blocking function on LinkedIn kicked off last year when a woman known as Anna R. from Columbus, Ohio launched an online petition calling for the feature. Anna had experienced a sexual assault in the workplace forcing her to abandon the job. While she could escape her assailant on other social networks, he became a constant stalker on LinkedIn. Due to LinkedIn's 'Who's Viewed Your Profile' feature, Anna was constantly alerted on the site and over email each time her assailant visited her profile. In addition, her stalker would research all of her LinkedIn connections in an attempt to discover her location. If you were connected to the blocked profile previous, those connections won't appear on the site anymore. In addition, endorsements and recommendations received from the blocked member will disappear. Finally, the 'Who's Viewed Your Profile' feature will no longer show the blocked member and LinkedIn will stop suggesting the blocked user in the 'People You May Know' and 'People also Viewed' sections. There is still a concern that users are still able to browse profiles anonymously, however. Some users are pushing the site to do more to prevent anonymous profile browsing, but so far, this is the only type of blocking feature LinkedIn has announced. To block a member, head to that person's LinkedIn profile and select the "Block or report" option from the drop-down menu next to the "Connect" and "Send InMail" buttons. But before you head to that person's profile, the company suggests, turn on the anonymous profile-viewing feature, which lets you see other members' LinkedIn pages without them knowing it.